Do you love the Halloween season? According to a recent survey, American’s spend on average $82.93 on Halloween decorations annually. When you combine the cost of decorations with the average amount spent on Halloween costumes, $70.81, Halloween can take quite a bit out of your pocket book! If your Halloween decorations and costumes are stored properly, you won’t have to dish out the dough next Halloween. Even if you only plan on wearing your costume for one year, it is still a good idea to store it properly. You may be able to use a piece of your costume for future costumes or may get a decent amount of money selling it in the future. Try out these Halloween costume and decoration storage tips! As soon as your Halloween celebration is over, care for your decorations and costumes. When cleaning your Halloween items, follow the care instruction laid out by the manufacturer. Avoid stains from setting into your costumes by concentrating on any problem areas you see. Before storing your Halloween costumes, allow them ample time to dry. If your items are wet during storage, it will be a breeding ground for mold and mildew. Plastic bins are a smart way to store your Halloween decorations and items. If you decorate for Halloween, you more than likely decorate for other holidays. Make it easier on yourself next holiday season by storing different holiday items in different colored boxes. Even though your Halloween tubs will be a different color than Christmas, Thanksgiving and Valentine’s Day, clearly label the box with a list of the contents. This will help you to distinguish your Halloween costume box from the Halloween decoration box. Keep your purple, black and orange twinkle lights sparkling next Halloween by properly storing them! These pesky lights can add a festive touch to any home decorations but can become tangled and broken if not stored correctly. To store your lights, wrap them around old wrapping paper rolls. Just like when storing your costumes, use a separate Halloween storage bin to store your Halloween decorations. These bins are very sturdy and will provide a great deal of protection during storage. Protect any fragile items from potential damage by wrapping them in layers of bubble wrap. If you have enough fragile items, it may be a good idea to designate one storage bin to storing fragile items. Make sure this bin has layers of balled up paper, packing peanuts or another protective material. 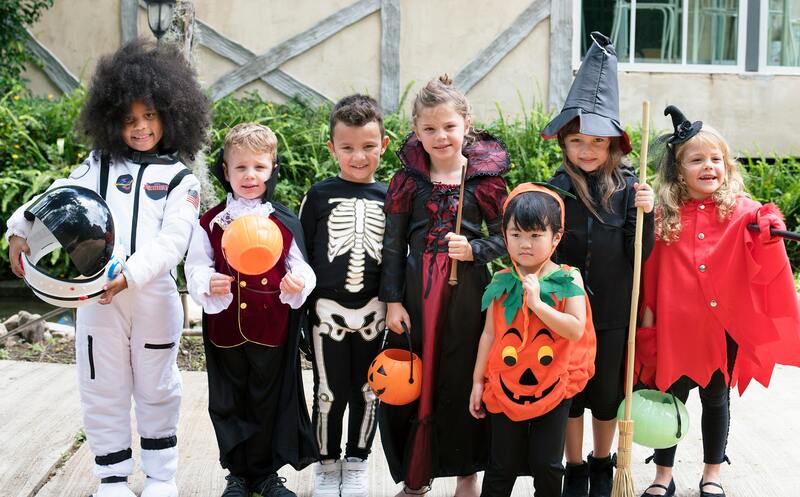 Even after following all of these Halloween storage tips, it is possible for your decorations and costumes to become damaged if you don’t store them in a location free from fluctuations in temperature. Unfortunately, this means that a basement is not the best storage location. When storing your Halloween costumes and decorations, consider a climate controlled storage unit. A climate controlled storage unit will maintain a steady range of temperature ideal for storing more sensitive items. Lighthouse Self Storage has storage facilities in Whittier, CA, Westminster, CA, Oceanside, CA, Carson, CA, Homestead, FL, Fort Lauderdale, FL and West Palm Beach, FL! Reserve a 5×5 or 5×10 storage unit to store your holiday décor today!